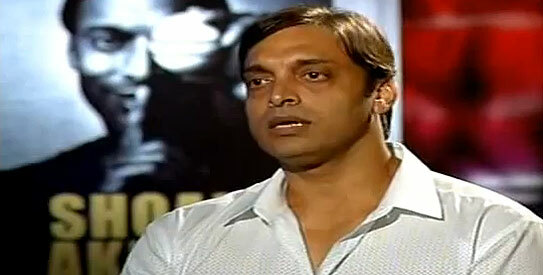 The scheduled release of Shoaib Akhtar's controversial book in Mumbai has suddenly been cancelled without any reason being given. Former India skipper Dilip Vengsarkar was to release Akhtar's biography 'Controversially Yours' at the Cricket Club of India (CCI) premises. "The event has been cancelled," confirmed a CCI official, without assigning any reason. According to sources, the event was cancelled due to unforeseen circumstances. The sudden cancellation generated speculation that it may be because of less than flattering remarks about India's batting stalwarts Sachin Tendulkar and Rahul Dravid. In his tell-all autobiography, Akhtar has made many controversial claims, such as iconic Indian batsman Tendulkar did not have the ability to finish matches in the initial stages of his career. Meanwhile, a protest was held in suburban Dahisar on Saturday against Akhtar, for his comments on Tendulkar. Protesters carried Akthar's posters on donkey-backs. On Monday, Akhtar is scheduled to attend another function to promote his book in the city.